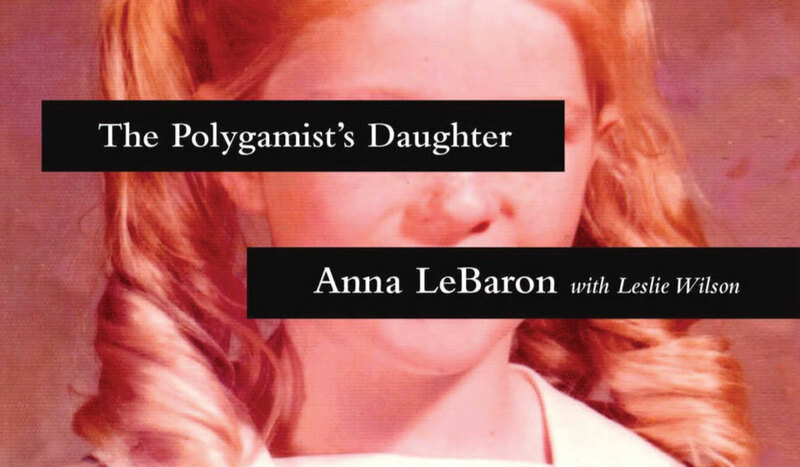 In THE POLYGAMIST’S DAUGHTER, Anna LeBaron recounts the harrowing story of growing up the daughter of Ervil LeBaron, the infamous cult leader responsible for the murders of more than twenty individuals. Anna endured unimaginable horrors, including the murders of several close family members, child labor and life on the run. Her memoir, published in March by Tyndale, is riveting and inspiring. Anna, who lives in Dallas, will sign copies of the book at Interabang Books at 7PM on August 17. We asked her a few questions about herself and the book in preparation for the event. When did you know you wanted to write this memoir? I've known for decades that I wanted to tell my story. It took a long time before I was able to heal enough to write it without being re-traumatized in the telling of it. I also had to overcome the shame I felt about growing up in a cult. What made you decide to write about your experiences? There are a lot of books written about my father, Ervil LeBaron, and my family of origin, in general. None have been written from the perspective of a child who was born into and raised in our family. The voices of the children needed to be heard. Your father, Ervil LeBaron, was a notorious polygamist and murderer. Could you tell us briefly what he was like while you were growing up? I met my father when I was nine years old, and only recall spending time with him twice. Those experiences were only two pieces of a thousand-piece puzzle. Then, he died in prison when I was twelve. I eventually had to read the other books that have been written about him to get a better picture. That puzzle won't ever be complete for me. While you were able to walk away from the cult, not everyone in your family did. What was it that allowed you, or convinced you, to walk away? That's definitely a spoiler question! I'll try to answer without spoiling that chapter of the book for everyone. There were countless injustices that had occurred within the cult that left me with a knot of bitterness in my gut. We were not allowed to complain or even acknowledge any negative feelings we experienced so the resentment just grew. Today I can say that those negative experiences are what I credit for my eventual escape. Given your unconventional religious upbringing, what are your spiritual beliefs like today? I love this quote from my aunt, Irene Spencer, author of CULT INSANITY (a book she wrote about my father): "I threw out more religion than most people accumulate in a lifetime." I laughed so hard when I heard her say that in an interview because it was true for so many of us that grew up in the cult. It took me a long time to sift through what I was taught and find what I believed, which is that I am loved by God, accepted, secure and significant. I have been all along. I've learned to define spiritual freedom as becoming the person that I was created and redeemed to be. Based on that, I am free indeed. What was it like for you to write this story? Was it difficult? Freeing? It was incredibly cathartic to finally get the story out of my mind and heart and onto the page. The initial writing was both difficult and freeing. However, editing the manuscript with the publisher was harrowing, as they drew out of me so much more of the back story. Then they asked for a Q & A to add to the back of the finished book. They pulled no punches and I probably cried more answering those questions than I did writing the book itself. For anyone who has experienced any kind of trauma or abuse, my prayer is that they can draw both hope and courage from reading my story. For everyone else, I would hope that they would experience more empathy for people who are struggling to overcome their past. Is there anything else you’d like to share with Interabang's readers? The Interabang symbol stands for discovery and excitement. I was raised in extreme isolation. Escaping a cult leaves plenty for a young girl to experience, to discover and to feel excited about. I feel as though that symbol encapsulates my life. As the mother of five grown children, I can finally say that I've created a life that I am am proud of and excited about.